GARDENERS tend to fall into one of two camps when it comes to bougainvillea. Devotees love the fact that bougainvilleas will flower almost year-round, and don't mind a hot, dry location. They will thrive in pots, and will perform well in salt-laden coastal gardens. Opponents can't see past the vigorous growth and the long, sharp thorns that can make the plant difficult to contend with and which can inflict painful injuries. Bougainvillea can grow anywhere from one to 20 metres tall. The flower is small and usually white, but the real appeal is in the brilliantly coloured bracts which surround the flowers. These can be pink, magenta, purple, red, cerise, yellow, orange or white, and they sometimes change colour as they age. The climbing bougainvilleas have masses of long, strong, sharp, hooked thorns which they use to support themselves as they climb up trees or wherever else they can cling to. These vigorous growers can become a bit tricky to manage if you don't want them to grow to their natural size. The trick is to trim them frequently, but lightly. If you let them go and then cut them back hard they will produce long flowerless shoots, almost overnight. 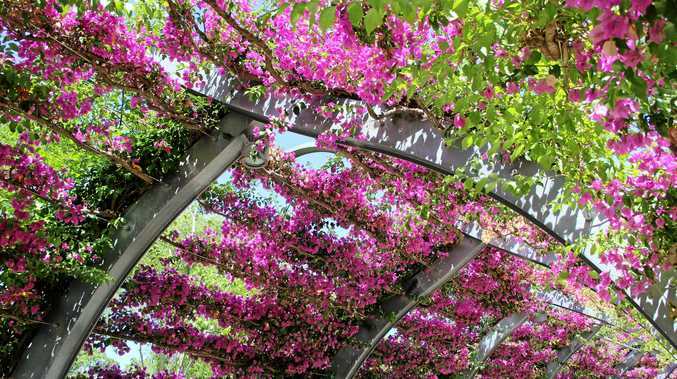 If you've ever visited South Bank in Brisbane you will probably recall how brilliantly bougainvillea are used in the Arbour, a kilometre-long walkway located in the Parklands. The 443 arched, galvanised steel posts are clad in brilliant magenta bougainvillea, and I've never seen it without flower. But if that sounds like too much work, stick with the dwarf and semi-dwarf varieties which can easily be kept to a height of less than two metres. Bambino Bougs are dwarf varieties, bred in Brisbane. There are some beautiful colours available in this series, including some unusual yellows, lavenders and bi-colours as well as the reds, pinks and cerises. They have smaller, softer thorns. Bambino Bougs grow to about 1.5m tall and wide, and, like all bougainvilleas, love a hot, sunny position. Use them to create brilliantly coloured informal hedges, feature pots, hanging baskets, or as a flowering shrub in the garden. Plant bougainvilleas in well-drained soil in full sun. If you are planting in pots, use a premium grade potting mix. Bougainvilleas will flower for most of the year. Just trim off taller or wayward shoots to maintain the shape and size you want. A light trim will encourage more flowers. 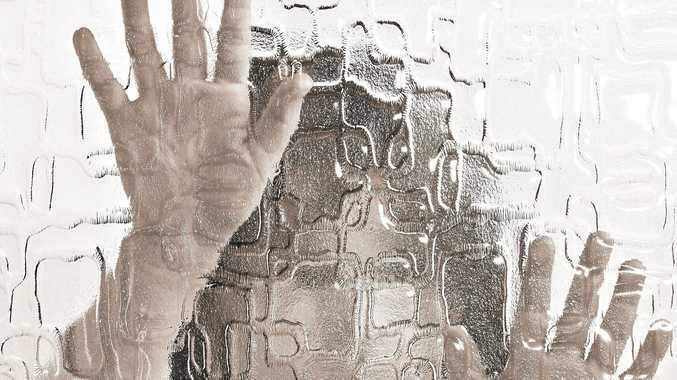 Don't overwater, especially in winter. Let pots dry out between waterings. Bougainvilleas have sensitive root systems, so be careful when planting or repotting. They may be burned by frost but should survive. As with all plants, don't remove damaged parts until all danger of frost has passed.